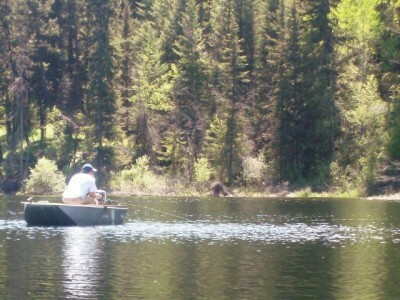 The Flat-bottomed “punt” style jon boat is among the most common type of boat found on the fly fishing waters of British Columbia. These boats are fairly inexpensive, easy to maintain and quite easy to upgrade with additional bells and whistles. They are usually found between 8 and 12 feet in length and, due to their flat bottom, offer superior stability when standing to cast. This same feature, however, does not make them the best choice for rough and moving water. 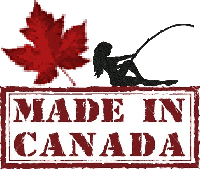 Regardless, the flat bottom jon is the favourite of still water fly fishing aficionados across beautiful British Columbia! The Journey Jon Boat – A Fantastic Stillwater Fly Fishing Punt! 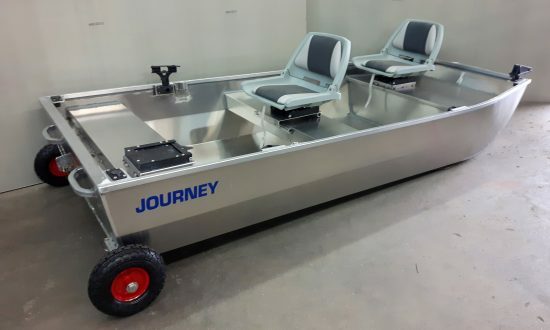 For an example of a high quality all welded aluminium flat bottom fly fishing punt, made in BC Canada for the trophy trout stillwaters of the beautiful British Columbia Interior, look no further than the Journey Jon Boat! 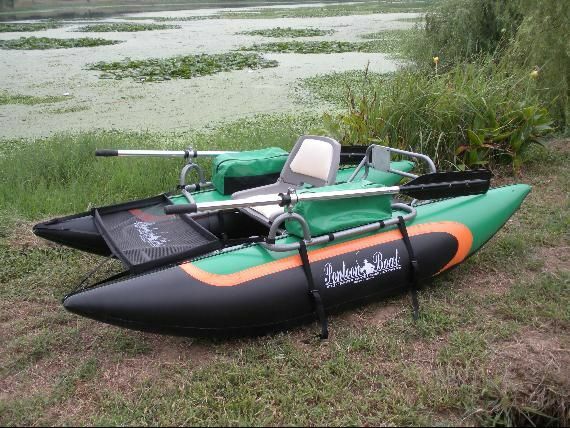 V bottom boats, on the other hand, are a better choice if you intend to tackle larger or rougher water bodies and where you may need to “run” longer distances under power. Although a bit less stable when standing to cast, this style tracks much better through the water – especially in the wind and chop. Due to their supply, these boats are relatively inexpensive and easy to find. And like the jon boats, they are easy to maintain and quite easy to fit with aftermarket upgrades. 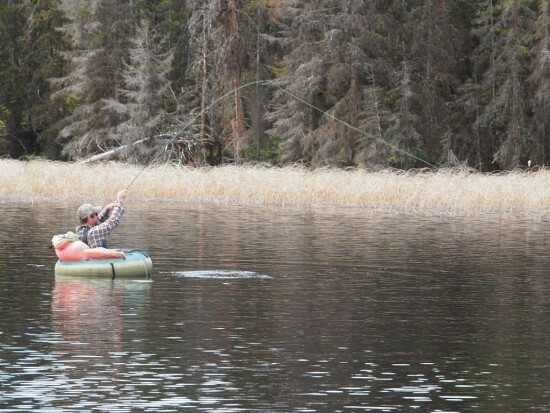 The V style boat in sizes 10 – 16 feet is by far the most abundant and popular fly fishing craft found on the lakes and rivers of the BC interior. Pontoon boats are also excellent fly fishing boats! 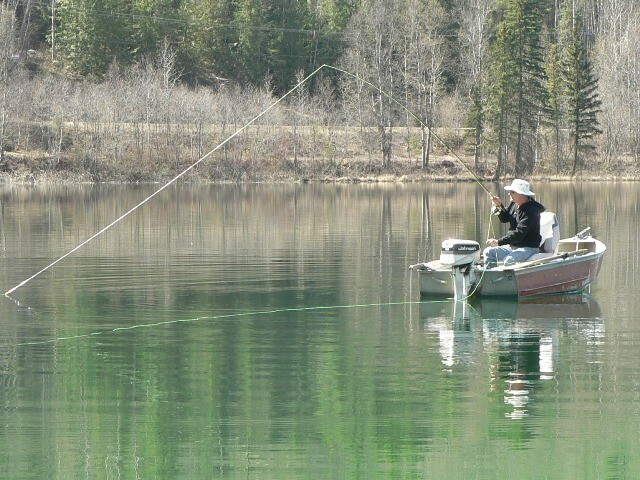 For fly fishing applications these boats are typically not more than 10 feet long and consist of two pontoons sitting on the water on either side of the angler. The pontoons can either be inflatable or solid air bladders. The pontoon hulls are shaped in a V hull pattern, greatly minimizing water resistance and therefore allowing for excellent maneuverability. The pontoons are connected by a frame, which also contains the sitting area for the angler and gear. The frame frequently provides a mounting point for small electric motors and anchors. Pontoon boats are relatively new to the fly fishing scene but have quickly become a popular fly fishing craft due to its maneuverability, durability, versatility and portability. 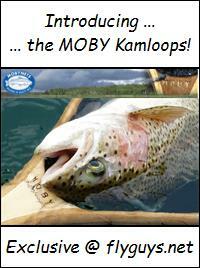 They are a great compromise fitting in between a small fishing craft and a belly/tube boat. Belly/Tube Boats are minimal in size but huge in portability. Their small size (especially when deflated) allows users to access the remotest of our BC Interior still water lakes. They will fit in any vehicle or, for those hike in only lakes, can be easily carried in a back pack. As the name implies, belly boats are air filled tubes with a harness to sit on. A second air bladder is typically used as a safety and propulsion is accomplished through kicking with finned feet. Unlike pontoon boats, there is usually no place to mount a motor so they are limited to smaller bodies of water. On the other hand, if accessing smaller remote fisheries with very little expense is your thing, then you really can’t beat a belly boat! 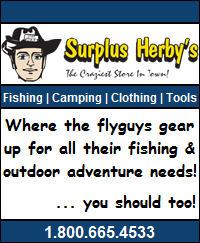 This entry was posted in Fishing, Product Reviews and tagged BC Boating Licenses, Best Fly Fishing Boats, Boat Exam, Boat License, Flat Bottom Boats, Fly Fishing Boats, Jon Boats, Pontoon Boats, Punts, Types of Boats, V Style Boats. Bookmark the permalink. Fishing is an ideal activity. There’s nothing better than spending time on the water with a line in your hand. Aluminum boats are best choice of fishing.